Admission: The introductory remarks and the meet & greet are free of charge. Inspired by Nixon’s visit to China in 1972, John Adams‘ groundbreaking first opera tells the story of President Richard Nixon’s historic meeting with Chinese Chairman Mao Zedong that made world headlines. The opera focuses on the principal actors involved and the breakthrough of Sino-American relations. Nixon’s visit to communist China was closely followed by many Americans and widely aired on television. Nixon’s change, from virulent anti-communist to the American leader who took the first step going to communist China, led to an extraordinary story and this landmark American opera. The introductory remarks will be delivered at 18.15 h at the buffet, III. 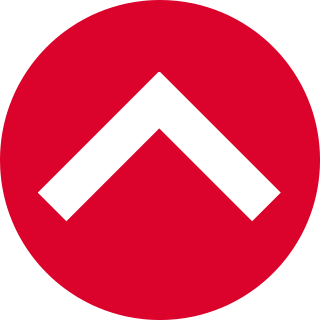 Rang. The meeting point for the Meet & Greet with American baritone Jarrett Ott after the performance is the Kantine (cafeteria). 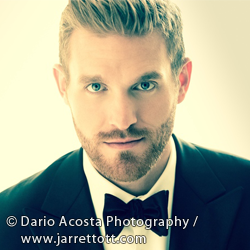 American baritone Jarrett Ott was recently named one of twenty-five „Rising Stars“ by Opera News, who described his voice in Cold Mountain as having an, „often ravishing, airy vocal finish…he brought the testing role not only lovely, Pelléas-like sound but a deep investment in the words.“ In his continued career ascension, Mr. Ott will make many important role debuts, including Papageno in Die Zauberflöte with Opera Philadelphia as part of their inaugural O17 festival, Figaro in Il Barbiere di Siviglia with Lyric Opera Kansas City and Dayton Opera, Jupiter in Offenbach’s Orpheus in the Underworld with New Orleans Opera. Important concert debuts include Carmina Burana with Seattle Symphony, Brahms‘ Requiem with Columbus Symphony and Stanford’s Songs of the Fleet with the New York Choral Society at Carnegie Hall. Jarett Ott joined the Ensemble of Staatsoper Stuttgart in 2018-2019. Attending West Chester University of Pennsylvania School of Music and later The Curtis Institute of Music in Philadelphia, Ott graduated in 2014 holding a Master Degree in Music. He made his major European opera debut at Deutsche Oper Berlin singing the role of the Angel in Andrea Scartazzini’s world premiere work Edward II.